Are You Sure You want to Cancel your Villa del Palmar Timeshare? Have you been made to feel that perhaps your decision to purchase a Villa del Palmar timeshare was impulsive? Are you having second thoughts about the decision you made during the timeshare presentation at Villa del Palmar? Here is some good advice to think about before you try to cancel your Villa del Palmar timeshare. To keep yourself safe from timeshare cancellation scams, beware of anyone that claims they can lawfully break or cancel your timeshare after the initial cooling-off / rescission period. If you are made this promise, you are most likely facing a timeshare cancellation scam run by people who are just trying to take your money. Don’t fall foul of this type of fraud. 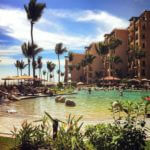 Are you really sure you want to cancel your Villa del Palmar timeshare? It’s only natural to feel unsure at first about your newly-purchased timeshare. When we make luxury purchases, our deep-seated feelings of unworthiness tend to come to the surface to taunt us, making us feel that we don’t deserve to have the best in life. Shortage consciousness carried over from the post-war generations can keep us feeling guilty about enjoying life and spending money on things that give us and our families pleasure. Be sure that your motives for trying to cancel your Villa del Palmar timeshare do not stem from fear and self-limitation. Have you been contacted by a timeshare scam or competitor? 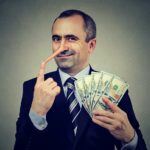 Another reason that some people look to cancel a Villa del Palmar timeshare is when they have been targeted by a timeshare scam or competitor offering to trade in your Villa del Palmar timeshare for a different membership. You should be very wary indeed if this is the case as this is the way most cancellation scams work, targeting people who have bought legitimate timeshare memberships. You are made to feel that you have been mis-sold or have bought into a scam, only to defraud you out of your hard-earned money. Consider first the type of timeshare membership you bought and how this will have a positive impact on your future vacations. Agents from Villa del Palmar would have assisted you in choosing the ideal timeshare membership according to your income and your expectations. Also, the possibilities for upgrades in the future should have been discussed, so that you feel comfortable starting with a membership that will not overburden your finances but that you can extend as your bank balance grows. If you cancel your Villa del Palmar timeshare membership now, you will be throwing away the opportunity for securing your future accommodations costs at today’s prices. ● Membership means that you can stay at leading Villa del Palmar timeshare resorts in many beach locations throughout Mexico like Puerto Vallarta, Riviera Nayarit, Cancun, Loreto, and Cabo San Lucas. ● You will say goodbye to the exceptional services and amenities available in all of the Villa del Palmar resorts, such as multi-level swimming pools, state of the art gym, kids club, spa, restaurants, room service, free activities programs, member’s concierge, and much more. ● Villa del Palmar timeshare works on a flexible club points basis called Villa Preferred Access which you can use for periods of two days or more for your accommodations in any of the resorts of your choice in your membership. ● When Villa del Palmar timeshare club points are not used in any year, you can always bank these points for next year and save towards bigger or more luxurious suites. ● Villa del Palmar timeshare points can also be borrowed from the following years if you need extra points to cover your accommodation reservation. ● Members Services are on hand to help you with your reservations and queries six days a week. 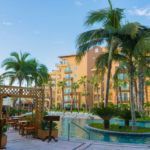 ● You can use Villa del Palmar timeshare points to pay toward services like all-inclusive vacation packages, floral arrangements, spa treatments, and other treats. 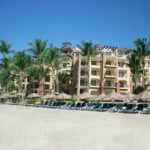 Do you still want to cancel your Villa del Palmar timeshare? Regardless of what anyone may say, you can only legally cancel your Villa del Palmar timeshare during the initial cooling-off period. Do not trust companies who claim otherwise as you will pay high fees only to discover that your timeshare has not been cancelled and that any loans or maintenance fees will remain outstanding and may cause legal action to be taken against you and adversely impact your credit rating. Speak to your timeshare provider first before going to a cancellation company. 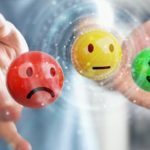 To protect yourself against timeshare cancellation scams, just remember this easy rule of thumb: If anyone claims they can legally cancel your timeshare contract once the initial rescission period / cooling-off period has passed, that person is most likely after your money, trying to get you involved in a timeshare scam. Don’t be fooled! It is with regret that the number and frequency of timeshare scams is on the increase. If ever you have any question about whether some timeshare offer or cancellation is legitimate or a scam, you should contact the members’ services for your particular timeshare. In the case of Villa del Palmar timeshare, you should contact Universal Vacation Club International or directly at the resort. Share the post "Are You Sure You want to Cancel your Villa del Palmar Timeshare?" How Safe Are You from a Double Scam?